Structural Integration: The Journal of the Rolf Institute® is the professional journal representing the field of Rolfing® Structural Integration. It has been in continuous publication for some forty years, initially as The Bulletin of Structural Integration and later as Rolf Lines. Rolfing SI is both art and science. Though Dr. Ida P. Rolf was a practicing scientist with a PhD in biochemistry, she, like many highly creative types, reached her conclusions intuitively, confident that future scientific understanding would one day prove her right. She once famously stated, “I know that it works; I don’t know why it works.” In recent years the explosion of research concerning fascia has validated many of her insights and spurred Rolfers™ to join the scientific community in its investigations, bringing with them their unique point of view, a direct lineage from its founder. From these endeavors, we are beginning to develop a scientific understanding of why our work is so effective. 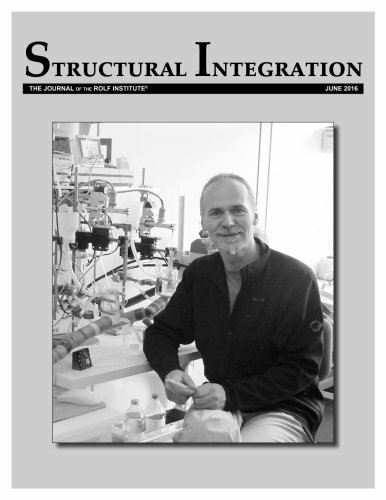 This issue of Structural Integration: The Journal of the Rolf Institute®, Volume 44 No. 2 (June 2016), focuses on this new wave of research and the role Rolfers are playing in it. Articles cover topics including how to read research with a discriminating mind, how to begin to do research, and the work of some of the Rolfers who are in the vanguard of either fascial research or research into Rolfing SI as a methodology. The Rolf Institute® of Structural Integration was established in 1971 by Dr. Ida P. Rolf to carry on the work she originated, the field of structural integration. Dr. Rolf's genius was to consider these two factors in combination - how gravity affects a body's structure and alignment, and the holistic role of fascia (the body's connective tissues) in maintaining the shape and flexibility of the human form. With these concepts, she developed a process for optimizing body posture and structure by aligning and re-organizing the fascia. The vision of The Rolf Institute is to bring the benefits of Rolfing® Structural Integration to the world. This is accomplished through internationally-recognized certification programs in Rolfing Structural Integration and Rolf Movement® Integration, as well as continuing education programs for practitioners. The Rolf Institute of Structural Integration is the only school that teaches Rolfing Structural Integration and graduates Certified Rolfers™ worldwide. The Rolf Institute also underwrites and promotes research and public education about the benefits of Rolfing SI, including the publication of its scholarly periodical, Structural Integration: The Journal of The Rolf Institute®.